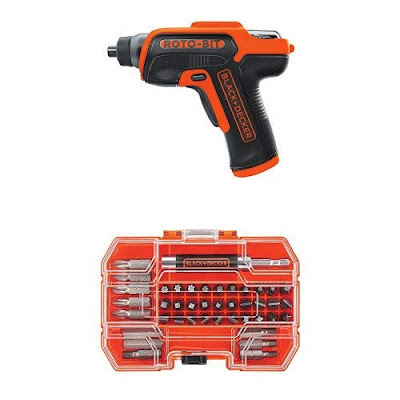 Today only, while supplies last, get this Black and Decker 4V Roto-BIT Storage Screwdriver with 42-Piece Standard Screwdriver Bit Set for ONLY $21.50! 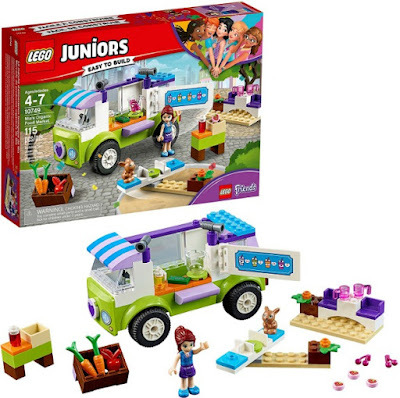 Right now you can score this LEGO Juniors Mia's Organic Food Market for just $12.99 (Retail $19.99)! The LEGO Juniors Market is an easy-to-build set that features larger pieces for younger LEGO builders. This LEGO Set includes 112 pieces, including 2 mini-figures, Mia and Twister the bunny, a food truck, a spinning merry-go-round, picnic table with seats, and stand-alone crates. 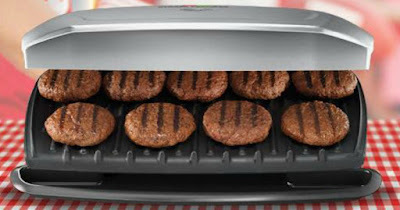 Hop on over to Walmart.com were you can score this George Foreman 9-Serving Classic Plate Electric Indoor Grill and Panini Press for just $19.99 (Retail $59.95)! This indoor grill and panini press features a 144 square inch surface that makes up to 9 servings at a time, along with a fat-removing slope that eliminates unwanted grease. It also features a non-stick coating for easy clean-up as well as dual contact heating for faster cook times. And at under $20, it would make an awesome gift! GREAT gift idea! Head over to get one (or a few...) of these Personalized Coffee Tumblers for ONLY $11.99 (Retail $19.99)! 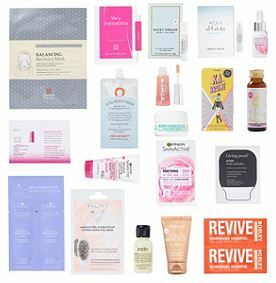 Receive a FREE Beauty Bag with any $30 online purchase. An $58 value! One per customer. While quantities last. This would make a GREAT idea for your teens stocking. Add the gift to your basket. A retail of $30 will show in your basket. Continue shopping and when $30 or more in merchandise is added to your basket your gift will turn to free. Failure to add $30 of merchandise to your basket will result in $30 charge. Not available in ULTA stores. Cannot be redeemed for cash, exchanged or applied to previous purchases. Online only. Offer is valid while supplies last. Merchandise excludes shipping and handling charges, gift card, sales tax and gift wrap. Samples may vary. Head over to get a Set of 40 Holiday Address Labels for ONLY $6.89 (Retail $12.95)! These adorable custom holiday address labels are the perfect and most convenient way to send out your holiday cards and packages! These are customized with your name and address and are shipped directly to you. All you have to do is peel and stick! 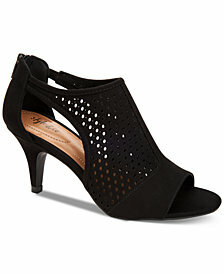 Right now at Macy's take 50-75% Off New Markdowns in Women's Shoes. So many to choose from! Great time to snag a few pair of dress shoes. Add a Beauty items and you'll receive Free Shipping. 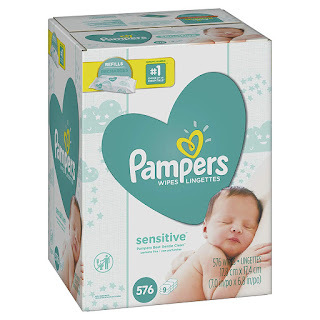 Head over to Amazon to clip several coupons to save on various Pampers products. Many of these items are eligible to Subscribe and Save which means as additional 5% – 15% off and free shipping. 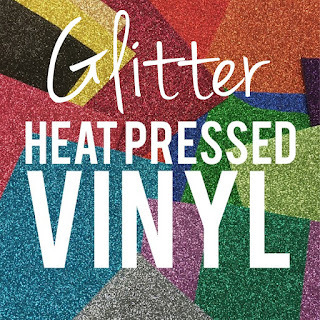 Head over and check out this Heat Press Glitter Vinyl Sheets 12" X 20" $6.99 (Retail $14.99). $2.99 for the first item and $0.50 for each additional item. US only. Seller usually ships within 8 business days. Ships no later than Tue, Nov 6. 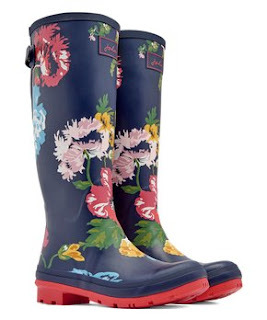 LOVE the look and feel of these Joules: Up to 55% Off Rainboots for Women and Kids. Based in Great Britain, Joules knows a thing or two about dressing for the English rain. Their classic welly boots have made a splash for years, and they've grown to include must-have apparel for kiddos too. Today only, while supplies last, save 50% off Aladdin ThermoFlask 20-oz Water Bottles! Prices start at just $9.99 (Retail $19.99)! Keep drinks cool with this Aladdin water bottle. Its insulated stainless steel frame keeps drinks cold for up to 18 hours, and its spill-proof lid prevents messes if the bottle falls. The two-way lid of this Aladdin water bottle lets you remove the top when it needs cleaning and remove the neck to add ice. Head over to get a pair of these Ultra Soft Print Leggings for ONLY $8.99 (Retail $19.99)! Our favorite leggings are now available for a great deal! Ultra soft and great quality these leggings will be a staple in your wardrobe all year long. With several different styles and the great low price, now is the time to stock your closet! 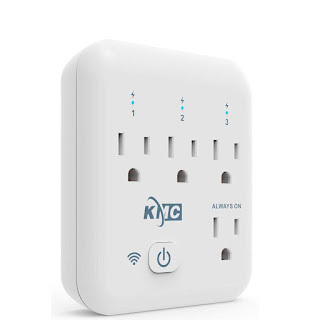 Today only, while supplies last, get this KMC 4 Outlet WiFi Smart Plug Energy Monitoring Smart Outlet for ONLY $14.99 (Retail $29.99)! [MULTI-SMART PLUG]: The smart plug has 4-outlet, there is a "always on" outlet and 3 individual control light outlet, you can control the smart plug using the KMC Smart or Amazon Alexa, Google home app. [SMART REMOTE CONTROL]: The smart plug works with Amazon Alexa, echo dot, Google home and IFTTT to manage your home devices through voice control. You can control home appliances remotely and smartly by your phone or tablet using the smart life App, only needs Wi-Fi. No hub or subscription required. [CUSTOMIZE SCHEDULE AND TIMER]: you can pre-set times automatically turn on and off any home electronics or appliances in a specific time before arrival home or you are away, real time monitoring function you can check the status of devices connected on the smart plug. [REAL-TIME MONITORING]: No matter where you are , as long as there is a network, you can check the status of devices connected on the Smart plug, such as confirming whether it is on or off, and track how much energy it's using. [SAFE IN USE - Max Load]: 16A , 1875W. Made by ABS flame resistance material. A built-in thermal sensor will automatically turn off overheating appliances,has encryption chip.30-day money back, 2-year warranty and lifetime support, ETL listed. Notes: After a power outage, outlets will retain their most recent setting to save energy. Today ONLY - Save $5 on WowWee Fingerlings = $9.99 (Retail $14.99). Keep this WowWee Fingerlings baby monkey nearby for fun anywhere. It makes interactive noises and actions in response to touch, movement or sound, including babbling, kissing and turning its head. Enjoy this WowWee Fingerlings baby monkey as part of a collection of Fingerlings or on its own, letting it hang on your finger or notebook spine. Snag these before their gone. GREAT stocking stuffer. 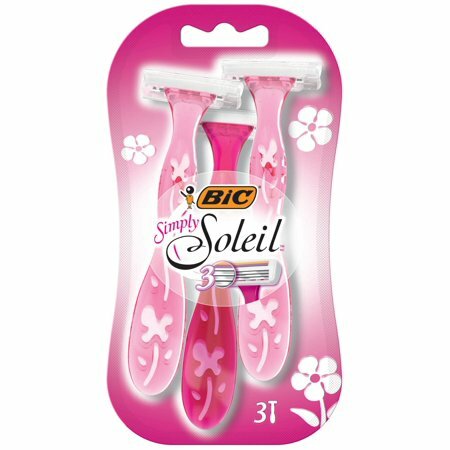 Hop on over to Coupons.com where you can print two new BIC Disposable Razor Coupons. 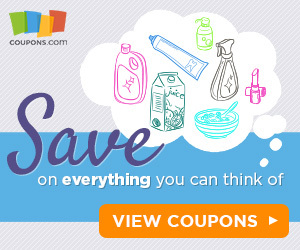 Even better, you can pair these coupons with Walmart and Target's every day low prices to score some great deals! WOW! Looking for a new mattress? Right now this Beautyrest Silver Golden Gate 13.75" Luxury Firm Pillow Top Mattress Set- Queen $897 (Retail $1799). Enjoy the comfortable and refreshing sleep benefits of enhanced lumbar support with the Titanium Support System of Silver Golden Gate 13.75'' Luxury Firm Pillow Top Mattress Sets by Beautyrest. 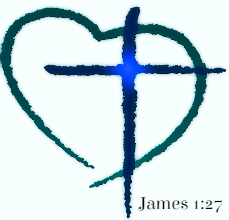 Wanting something different? 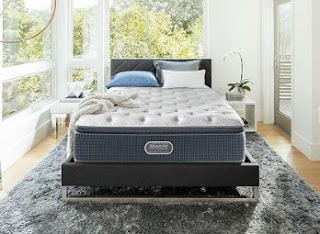 Head over HERE and browse around to find your perfect mattress and a great price. 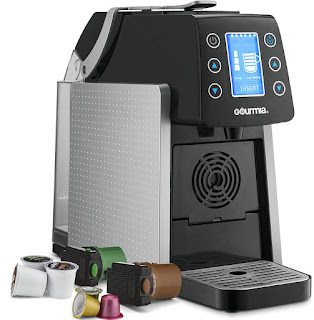 Today ONLY (10/30) - Gourmia One Touch Multi Capsule Coffee &amp; Espresso Machine - Single Serve - Compatible with K-Cup Pods &amp; Nespresso - Adjustable Brew Temperature &amp; Size - Digital Display - 1450W - Silver fpr $119.99 (Retail $199.99). MULTI CAPSULE: Features revolutionary K-Cup AND Nespresso compatibility. Completely eliminates the need for two separate machines. FULLY CUSTOMIZABLE: Feel free to get picky. Use the simple arrow controls and visual LED display to adjust your desired brewing temperature and cup size. MAX EXTRACTION: Unleash perfectly precise brewing with just a touch. Features automatic pressure regulation, and a unique 19 bar extraction system for the boldest espressos. CONVENIENT FEATURES: Comes equipped with color-coded coffee and espresso cartridge loading sets, flip down demitasse shot platform, 14 capsule auto eject/collect system, removable 40 oz water reservoir, and drip tray. FYI - I want this! 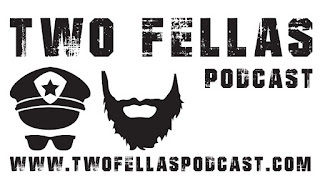 Check ALL the deals HERE. 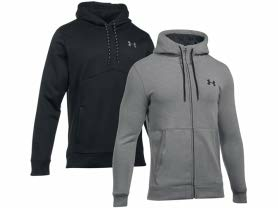 Today ONLY - Under Armour Men's Hoodies $39.99 - $48.99. Today ONLY - Best Buy is offering some deals on these *POPULAR* Smaller Appliances. Prepare grilled sandwiches and individual pancakes with this silver Dash Mini griddle. The 5-inch round cooking surface heats up quickly for fast meal preparation, and the smooth nonstick coating ensures efficient food release and makes cleanup simple. This Dash Mini griddle is compact enough to fit easily on small kitchen counters. Pull off a delicate recipe with this Gourmia sous vide pod. Its precise thermostat lets you set a consistent temperature for immersion cooking, and the LCD display and digital touch control with timer provide easy monitoring. This Gourmia sous vide pod can be used with a water container of up to 5L for efficient cooking of large dishes. Prepare meat quickly with this 6-quart Bella pressure cooker. Powerful pressure levels create faster heating than conventional cooking. A safety locking lid, cool-to-the-touch handles and a steam release valve help prevent accidents in the kitchen. 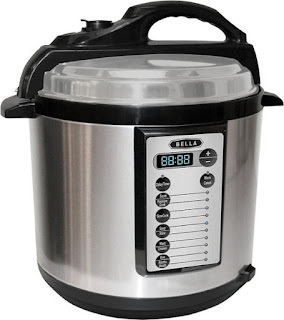 Use the 10 one-touch functions on this Bella pressure cooker to evenly cook delicious meals. I LOVE these Long Sleeve Snap Cardigans for ONLY $12.99 (Retail $25.99)! The perfect cardigan for everyday wear! Featuring a snap front design and ribbed detailing. 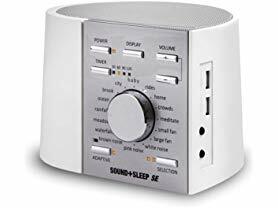 Right now you can get this Sound+Sleep SE Special Edition High-Fidelity Sleep Sound Machine $62.99 (Retail $110.99). 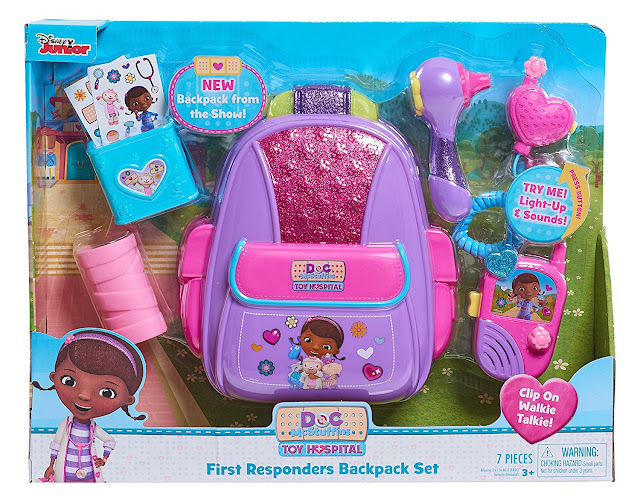 HURRY over to get this Doc McStuffins First Responders Backpack Set for ONLY $9.72 (Retail $19.99)! First responders are on the way! Now fans of Disney Junior's DOC MCSTUFFINS will be prepared for every toy-emergency with the DOC MCSTUFFINS first responders backpack! This purple and pink backpack looks just like the one Doc uses in the show and will have kids saving the day in no time! The backpack features a strap for easy carrying and has multiple pockets for storing all of the amazing DOC MCSTUFFINS first responder tools! The set even comes with the walkie-talkie Doc uses on the show to help respond to toys in need! Kids can press the button on the walkie talkie to hear fun Doc phrases and then set off the next McStuffinsville adventure! This action-packed set also comes with play otoscope, play cast, and bandage box with fun bandage stickers! Right now you can get this LEGO Creator Robo Explorer 31062 Robot Toy for ONLY $13.99 (Retail $19.99)! Impress your friends with this awesome model! 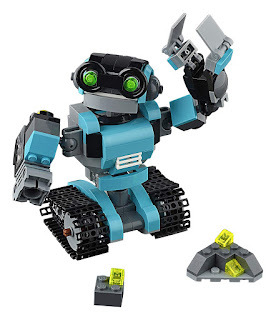 This characterful Robo Explorer features an azure, black and gray color scheme, bright-green eyes, working tracks, rotating body and head, and posable arms with working claw and searchlight. Rebuild this 3-in-1 LEGO Creator model into a Robot Dog with a light-up jetpack or a Robot Bird with light-up eyes! LOVE these Personalized Wristlets for ONLY $10.99 Shipped (Retail $19.99)! Your favorite wristlet in 4 new colors! You will absolutely love this. Great size to carry on its own or fits great into a purse! Also, add an extra little thank you card in on us! We have created a few for you to choose from to add to your teacher's gift! Head over to Coupons.com and/or Redplum.com where you can print two new Snuggle and all Laundry coupons! 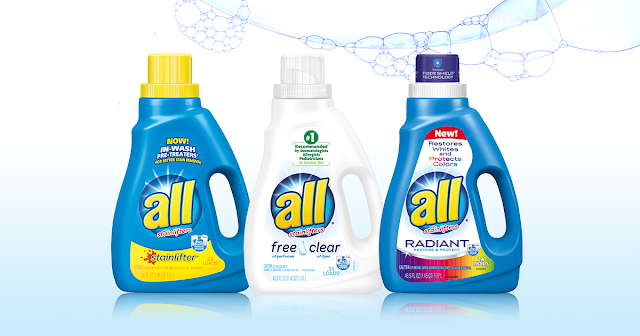 Even better, through November 3rd, Walgreens has all Laundry Detergent on sale for just $2.99! Hurry on over to Amazon where you can score this Poopsie Slime Surprise Unicorn in-stock and priced at $49.99 shipped! This Poopsie Surprise Unicorn features one surprise unicorn (either Rainbow Bright Star or Oops Starlight), plus one glitter potty, and slime making ingredients. It also includes accessories for your unicorn, such as a shirt, diaper, hair brush and more, and has one exclusive bottle and one exclusive poop character keychain. 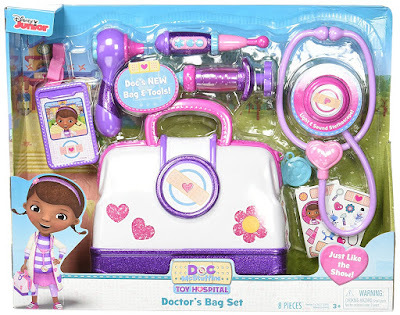 Head over to get this Doc McStuffins Hospital Doctor's Bag Set for ONLY $13.88 (Retail $19.99)! Your stuffed animals and toy friends are ready for their check-ups! Disney Junior's Doc McStuffins toy hospital Doctor's bag set includes a new and improved Doctor's bag, syringe, otoscope and thermometer. Of course, Doc's magical stethoscope is included featuring sounds and light-up. Now your little Doc can "practice" her skills and nurture her favorite toys back to perfect health. Requires 3 AG13 batteries. FUN! 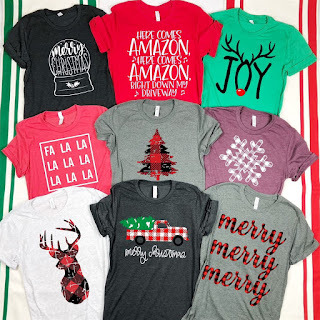 Right now these Crew Neck Holiday Tees $16.99 + Free Shipping. Almost Holiday Season! This combed and ring-spun material is soft, comfortable and cute. It pairs perfectly with your scarves/jeans/floppy hats and cardigan sweaters! Rock it day OR night! Free. US only. Ships no later than Tue, Nov 13. 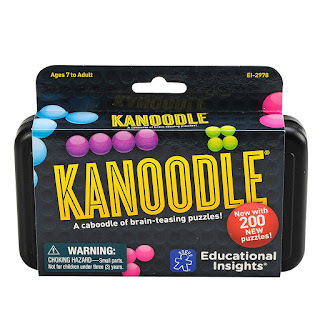 Check out this *BEST SELLER* Educational Insights Kanoodle - Brain Twisting Solitaire Game ONLY $6.99 (Retail $12.99). -OVER 2 MILLION GAMES SOLD! Challenge your noggin with this best-selling, award-winning, brain-twisting, solo game. -OVER 200 NEW PUZZLES! Place the pieces shown—the challenge is deciding where the rest of the pieces go to complete the puzzle. -LOGICAL THINKING PUZZLES: From basic to deviously difficult, there are hundreds of possible combinations, but only one correct answer. Perfect for developing problem solving and strategic thinking skills. -INCLUDES 12 puzzle pieces, 200 puzzle challenges in a 48-page illustrated puzzle book, and a carrying case. Perfect for travel. -PERFECT FOR EVERYONE from puzzle-loving children to puzzle-master adults. Perfect for developing problem solving and strategic thinking skills. For a limited time, Crazy8.com is offering up a selection of swimwear for the littles priced as low as $5.39 (Retail $16.88)! Even sweeter, through November 1st, save an extra 20% off your order when you use promo code BOOYAH at checkout! Plus, through today, October 28th, score FREE shipping on any order!